Today I did something, that if you had asked me one year ago could I imagine myself being a part of, I would have told you hell no! My journey as a climber started just six months ago. Although I haven’t particularly progressed in terms of technique or proficiency, I have seen a huge improvement in my confidence, and I have loved every minute of it. This afternoon I took part in the This Girl Can Climb campaign photoshoot! As part of my ‘try new things’ attitude, I jumped at the opportunity to apply for the ‘This Girl Can photoshoot‘ at Manchester Climb Centre. To ensure we fully represent all women we’re looking a diverse group of around 12 women to join the photo-shoot. 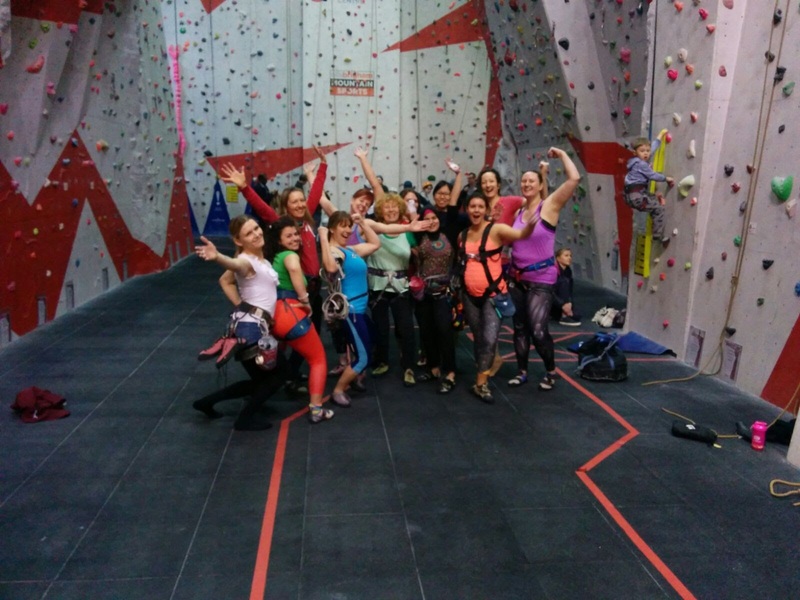 You can come along as an individual climber, or with your climbing partner. If selected your admission to the climbing centre will be paid for. Female climbers who are comfortable in front of the camera and happy for their photo to be used as part of the campaign. So, they want new climbers represented? That covers me! I also invited my friends mum Judith to join me, as we had briefly met at a previous climbing session where she was climbing with her son, who is also a friend of mine. Judith is 68, and therefore currently lies outside of the above age limit, so we emailed BMC, and they removed the upper limit so she could apply! Thankfully we both got accepted, and were really looking forward to it. The day was really good fun. We split into two main groups, and were just left to climb as normal (only someone was snapping shots of us while we climbed). We weren’t expected to try super hard routes or try to give good shots, we just climbed, and had fun. I didn’t quite manage a new grade 5 slab I tried for the first time, but I will be going back to tackle it again. I did however smash a 4+ on my first try! I had a bit of a wobble in some places, so I re-climbed again for a smoother run, which felt really good to do. I also got caught at the top by the photographer who convinced me to let go on the way down , which was scary, but tons of fun! With my plan in place, I re-climbed the route and got straight to the top! The climb was so quick too, it’s weird to think how stuck I had previously gotten at various points. I guess once you push past a problem once, each time after it becomes much easier. Either way, I had a great day, and I’m really glad I pushed myself out of my comfort zone. 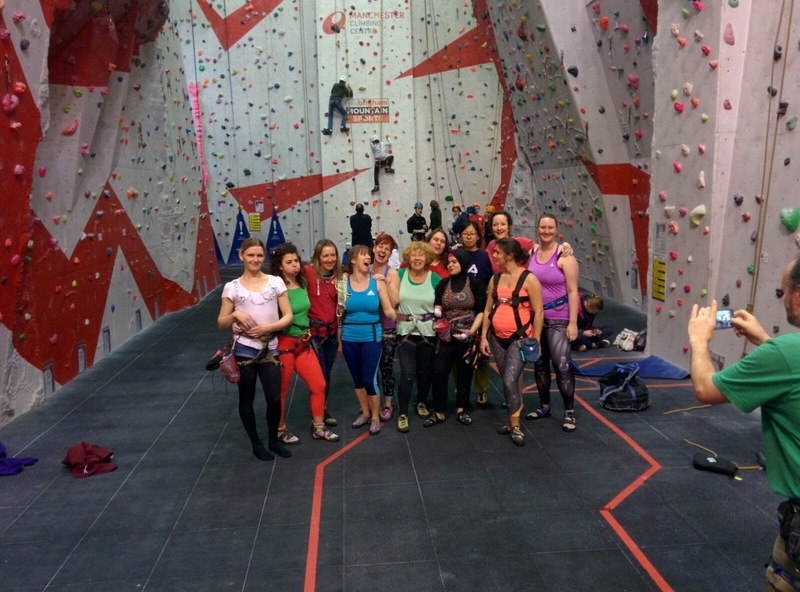 I also really enjoyed meeting the other women, everyone in my groups was really friendly, and it was lovely to climb with such a supportive group of women for the afternoon. I can’t wait for the images to be released!